I bet you thought it would be impossible to make Crème brûlée in a motorhome with no oven didn’t you? Well you are wrong! I discovered this stove top recipe nearly twenty years ago whilst working as a Chef on a charter boat here in France. It was really useful then, when oven space was scarce and it remains a special occasion favourite now in our motorhome so I thought I’d share it with you. 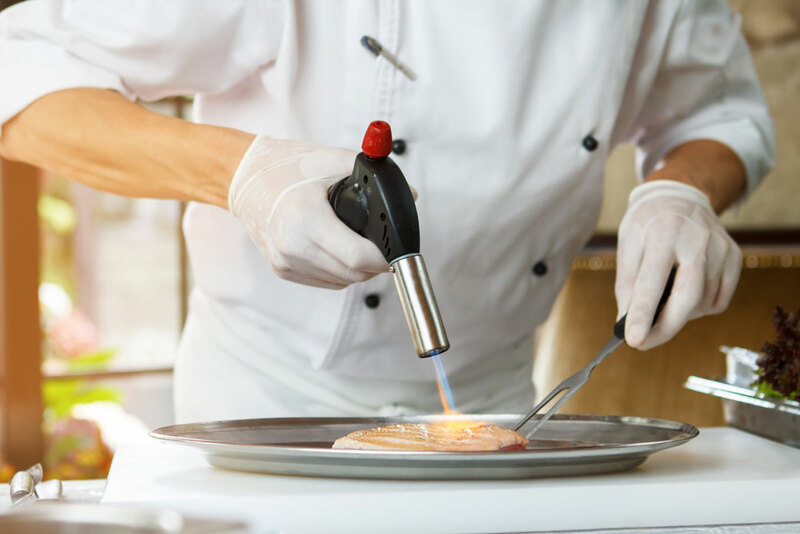 You will need to invest in a Chef’s blow torch (I have seen them in supermarkets from as little as €12.99 and you’ll get plenty of use out it if you’re a keen cook) but you’ll probably have the other kitchen equipment required already. If you don’t have ramekins, you can even buy readymade Crème Brûlée in the supermarket chiller isle here and you’ll get ones just like the one in my photo for free. Failing that, you can use one big dish as long as it will tolerate the use of your blow torch to caramelise the sugar. 1) Run a knife down the centre of the vanilla pod to split it open. In a saucepan (preferable one with a heavy base), gently heat the cream and the vanilla pod for 10 mins. 2) In a bowl, whisk the egg yolks with 40g of the sugar and the cornflour until pale and foamy. Remove the vanilla pod from the cream and scoop the seeds back into the cream with a teaspoon, stir and bring to a gentle simmer. 3) Pour the cream into the egg mixture, stirring constantly. Return to the pan and cook very gently, stirring until the custard has thickened (this will take 10 to 15 mins so be patient and don’t stop stirring). Pour into ramekins (do this very quickly whilst it is hot and pours easily to avoid getting a lumpy finish which is difficult to “brûlée”), allow to cool then cover and chill for at least 4 hours or preferably overnight. 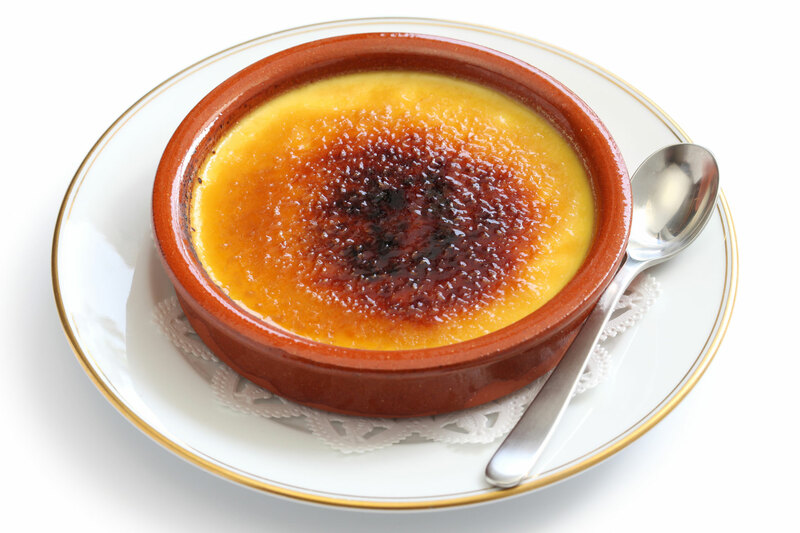 4) At least couple of hours (and up to half a day) before you are ready to serve, sprinkle the remainder of the sugar on top of each Crème Brûlée and caramelise it until golden brown using your blow torch then re-chill before serving. Positive proof that campervan cookery does not have to equal compromise and if you cannot get enough Crème Brûlée in French restaurants and even supermarkets, you can always make your own. 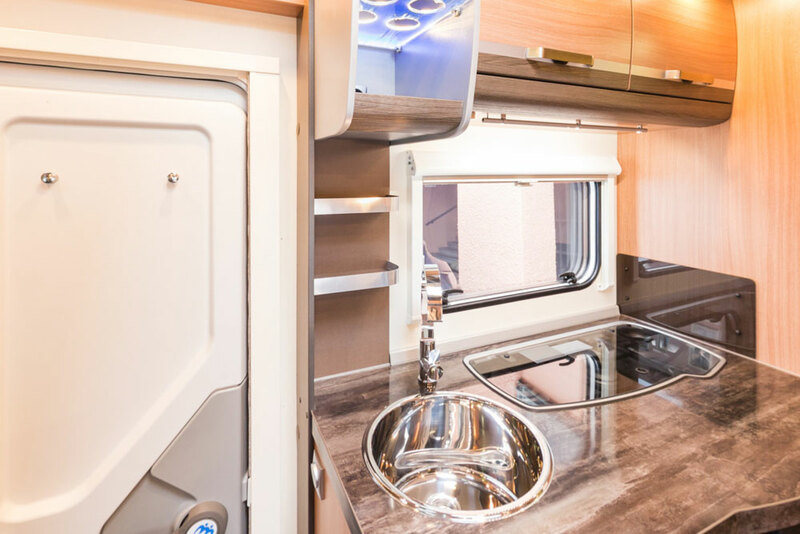 If you have come across or created any recipes that work well on a campervan hob or barbecue, please do share them with us.